Renee Tajima-Pena has received a prestigious fellowship from United States Artists. Photo by Tyrone Turner. Documentary filmmaker Renée Tajima-Peña, a professor of community studies at UC Santa Cruz, has been named a USA Fellow for 2009 by United States Artists, an arts advocacy organization based in Los Angeles. The honor, which includes a $50,000 award, was announced during a celebration in Santa Monica on Monday night (December 14). An award-winning filmmaker and a founding faculty member in the graduate program in social documentation at UCSC, Tajima-Peña is one of only six media artists among 55 recipients of the prestigious USA Fellowships. She joins artists working in a broad array of disciplines, including architecture, design, crafts, dance, literature, music, theater arts, and visual arts. "This fellowship enables me to jumpstart the production of my new documentary about the sterilization of Mexican American women during the 1960s and '70s," said Tajima-Peña. "As soon as I was notified of the award, I scheduled a shoot. I couldn't wait to start work. This fellowship is a lifesaver." Tajima-Peña's films include the Oscar-nominated Who Killed Vincent Chin? and the highly acclaimed feature-length documentary Calavera Highway. 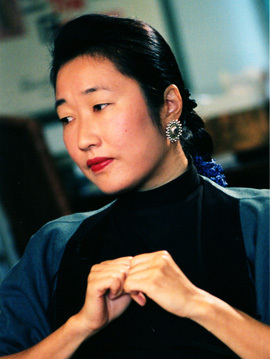 Tajima-Peña teaches documentary film making and video production at UCSC. Her work focuses on Asian American and immigrant communities, media, and social change. USA Fellowships are awarded to emerging, mid-career, and established artists who demonstrate artistic excellence, unique artistic vision, and have made significant contributions to their fields. Recipients are selected by panels of experts in the arts. This year, 348 nominees from 45 states were invited to apply. Other recipients this year include poet and novelist Sapphire, whose novel Push was made into the new film Precious, and actor and playwright Anna Deavere Smith. "Artists fuel the nation's cultural vitality and illuminate the issues and complexities of our time," said Susan V. Berresford, USA board chair and former president of the Ford Foundation. "Yet many of our country's finest artists struggle to make ends meet. Now more than ever, we need a resource like United States Artists to invest in working artists and promote their contributions to society." United States Artists was established in 2005 with seed funding from the Ford Foundation, Rockefeller Foundation, Prudential Foundation, and Rasmuson Foundation. The organization provides a structure through which private philanthropists, corporate donors, and other foundations can support individual artists.